Everyone is looking for a way to improve sales. Who doesn’t want to increase their ROI? Who doesn’t want to be more successful? But how many people look to leadership training as a way to do that? When you take a moment and really look at it, it makes sense. After all, leadership is all about influence, and sales is all about influencing a buying decision. It is important to note that influence does not mean “manipulate,” it simply means to lead. You can lead in many ways; by educating, increasing communication, etc. These are the skills that we are looking to improve through leadership training. Whether you are trying to influence (lead) your team, yourself, or a customer, you’re looking to lead them in the direction of your vision. There are no tricks to selling more and there are no tricks to being a good leader. Both of these qualities are based in trust, building a relationship, and making someone believe that you are a leader worth following, that your vision is worth being a part of. Having strong leadership skills is the fasted way to establish the trust that is so critical to not only making a sale, but keeping that customer coming back for more. You might not consider yourself a leader, but look around you. There are probably a plethora of people that you influence naturally. Keep in mind that being a leader isn’t about telling people what to do, it’s about influencing them and creating a vision that they want to buy into. If you’re reading this article, I’m assuming that you sell something: a product, your time, or your experience. If so, then you definitely are a leader to your customers. Have you ever lost a sale even though you knew you had the best product for the best price? It could be that you weren’t leading the customer to your product in the way that they needed. “O.K., fine,” you say, “you’ve sold me on the idea of learning to lead. But how do I even do that?” Fortunately, you have a lot of options! Just keep in mind that the quality of the information is contingent upon the quality of the source. You’ll find leaders from all over the world willing to share their knowledge with you, sometimes even for free! See what you can find. Sign up for newsletters, read blogs, search for e-books. You’ll probably find John C. Maxwell mentioned quite often. He’s recognized as the number one leadership expert in the world. He’s written over 64 books on leadership and has a coaching certification program. He’s absolutely worth checking out. Take some time to self-evaluate. Discover which leadership skills you need to develop and think about how you will use them to establish more trust in your relationships with your customers. Look to your current customers to discover how you, your company, and your product is being perceived. This can help you figure out what leadership skills will help influence your potential customers, coworkers, and business leaders. You need to be able to present yourself as a leader, an expert in your chosen field, and to be able to tell your story in such a way that your customers trust that your product is an industry leader. Read, read, and read some more. Read, or as I do, listen, to some leadership and sales based books. Combine the two topics into your reading list and see how the two mesh into a perfect blend of “relationship equals success.” I recommend reading books written by sales experts who hang out with leadership experts. Jeffrey Gitomer is a great example. His easy to understand sales strategies are infiltrated with leadership skills from pros such as Brian Tracy, John C. Maxwell, Stephen Covey, and Simon Sinek. Secondly, make sure you read the classics. Such as 7 Habits of Highly Effective People and the highly entertaining Zig Ziglar’s Leadership & Success Series. Seriously, in that last one, you’ll laugh and learn your way to success. Find a personal development or business development coach. Find a mentor, someone who has “been there, done that” and is willing to pour their time and knowledge into you. Just keep in mind one very important lesson from John C. Maxwell: you must invest in others to get the best from them. Of course, I’ll always be an advocate for coaches, not just because I am one, but because I have seen first had that professional coaching can and does changes lives and improve businesses. When Warren Buffet was asked to offer one piece of advice to business owners everywhere, he responded, “Get a coach.” That’s solid advice for anyone who wants to advance and improve. Attend a seminar or simulcast. Do a search in your local area for some. At the bottom of this post, you can find a short list of the events I’m hosting in the metro Detroit area over the next few months. You can check my website for updates. Though I, obviously, recommend my courses, there are a plethora of great leaders out there for you to learn from. Whatever method you choose, own your new leadership skills; apply them to your personal life and your business, and watch your success grow. Remember that if you read and don’t understand how to put these new skills into practice or if you just read and don’t utilize the knowledge, what you’ve learned will not help you increase your skills. As a certified John Maxwell coach, I grew my leadership skills by reading, testing, failing, and succeeding. Try combining some of the methods above to make sure that you are not only learning these skills, but learning how to apply and practice them. In addition, don’t limit yourself to only one author, leader, or mentor. Expand your learning by gaining knowledge from different sources. Everyone has something different to offer. May 9, 2014 – Leadercast 2014: A worldwide live leadership event featuring speakers such as Malcolm Gladwell, Dr. Henry Cloud, and Archbishop Desmond Tutu. Purchase tickets here. TBD – Mastermind Session: 21 Irrefutable Laws of Leadership. TBD – “Thank you, May I have Another!” : Persuasion without selling, a course for the entire team. John is an experienced business coach who is passionate about business and adding value to people’s lives. 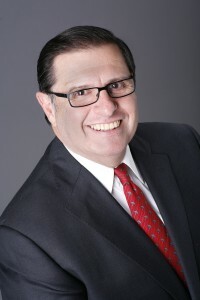 His areas of expertise include 30 years of successfully starting, managing and selling businesses, building relationships, and training sales and leadership teams. Hello there! Often we invite Guest Bloggers to write for the Synectics Media Blog. Guest Bloggers can range from other company's big-wigs, fellow techie nerds or just experts in their specific field. Keep an eye out for our newest guests, and we'll make sure to include their bios and contact information at the end of each post.